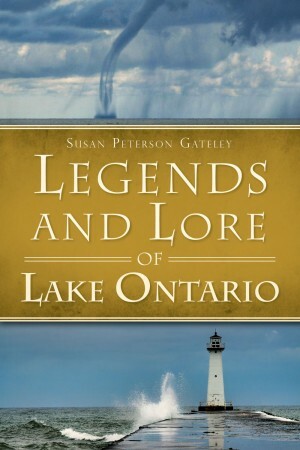 Susan Peterson Gateley’s newest book “Legends and Lore of Lake Ontario” was just released last week by the History Press. The author will be on hand to sign copies at the Fair Haven Craft Show on July 6 from 1 to 4 p.m. Many mysteries including sunken ships, unknown beasts, strange forces and sudden disappearances lie beneath the lake’s sunlit surface. Odd sightings and peculiar events have long inspired stories. For centuries Lake Ontario has held its secrets, some of which are now revealed in this collection of lake lore. The book describes a number of bizarre and odd occurrences such as the a comet that sunk the schooner “Charity” and frogs and fish falling from the skies. It also details the sudden catastrophic crash in population of the lake’s most mysterious fish- the amazing American eel. In “Legends and Lore” Peterson Gateley re-tells famous old tales and shares some new mysteries as well. 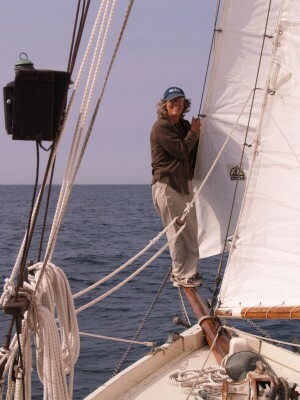 A trio of Lake Ontario fish stories feature the sturgeon, the salmon and the American eel, and sailors may enjoy stories of a daring (and possibly foolish) feat of salvage off Oswego in 1964. The author says “Legends and traditional folk lore contain timeless truths about the human condition and spirit. Stories such as these help us to make sense of the odd and fateful happenings in our lives and so we continue to share them.” She has compiled an interesting mix of previously told tales and never before printed stories of events and objects that in some cases defy explanation. 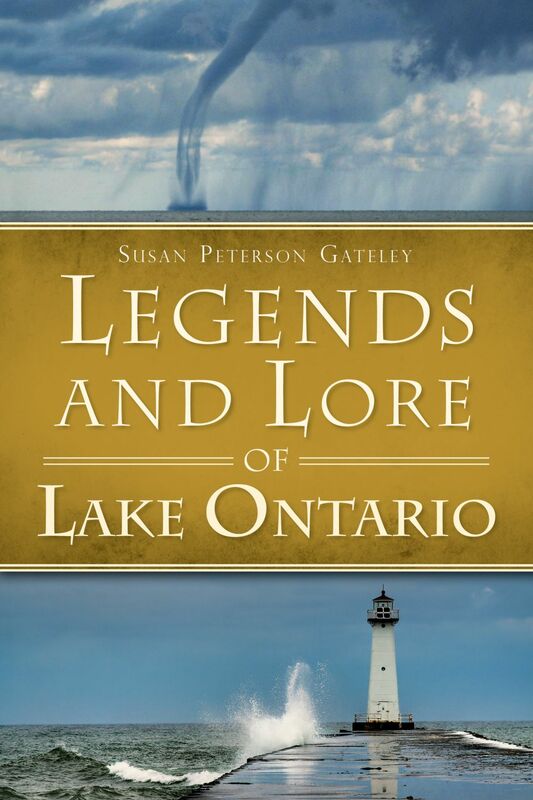 “Legends and Lore of Lake Ontario” is now available at rivers end bookstore or stop by the Fair Haven craft show Saturday and pick up a signed copy. To order directly from the author contact [email protected] or call 315-594-1906. The price is $19.99 plus $2 postage.